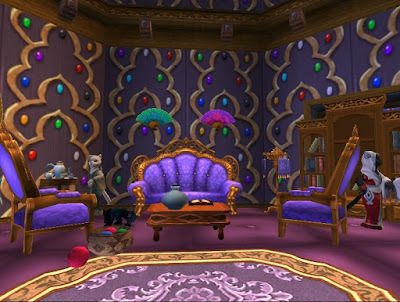 Hello Wizards, as June is decorating month here at Paige's Page I want to start off with themed decorating. 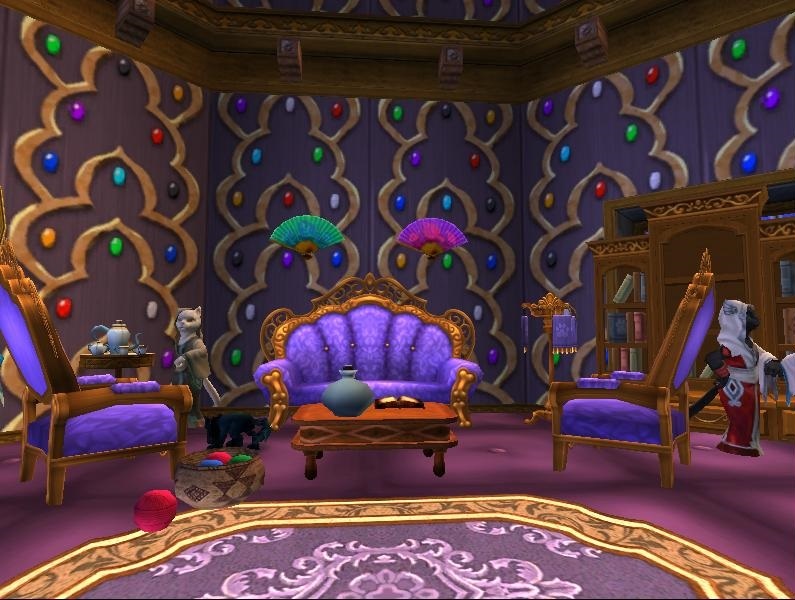 Themed decorating is a basic set up to fit a theme you are working towards, much like the best little dorm contest there's always a theme. My favorite has always been my tea house (above) although I keep adding to it when I see something that would fit. The basics stay the same. I also make a dorm for each year contest (below) are the Ice box and Chicken shop. I'll show you two dorms I made for today. First up we have the Marleybone Jail I always start off with the biggest item I will need. This time it's the broken jail cell . I wanted to make room for other things so I sunk the jail cell over the door, this also works for you to go in and out to your dorm. Ha ha you land it the jail. Now we need a few items to give that Marleybone feel. I used some wall hangings metal light and police hats. All that is left is the wallpaper and flooring, both metal based to fit the theme. Next dorm is a Walk in the Park. Okay now remember you don't have windows outside so this time I needed to remove those windows, giant rocks for that. I added some trees flowers, park bench and a path to walk on. Last up some grassy flooring and outdoor looking wallpaper. Enjoy your walk and Happy House Decorating. Amazing decorating skills and some great themes! Um What contest? Best little dorm contest? That doesn't even happen until July watch in July for the full contest rules.